‘Independently Owned Coffee House’: A name that instantly invites images of exposed brick walls, jam jars masquerading as drinking glasses and tatted-up barristers adorned in touques and band t-shirts. This descriptor of a beverage establishment is as handy a categorization as the drinks served behind the bar. The labeling of coffee into neat categories, such as Dark Roast or Latte, means that a weary, worked-out caffeine addict, can enter this location and, without much contemplation, walk up to the barista and order a Dark Roast Coffee confidently expecting a predictable experience. The underlying complexity of this everyday experience - the act of ordering a coffee - is often lost. With a close look, however, even something this simple requires a vast amount of information to be distilled down to a handful of identifying markers. We don’t stand in front of the barista crippled, trying to identify every relevant piece of information about the drink (how much caffeine will be in my cup, how long were the beans roasted, how were they harvested and dried, etc.) Rather, it’s enough for me to identify two simple categories, “dark-roast” and “coffee” to know that the drink given to me will be cost effective, have a flavour I enjoy, and provide me with an appropriate boost in mood and energy. In the same way, it is immediately apparent from other words, such as ‘independent’, what my experience in the coffee house will be. This is the beauty of the category. In other words, ‘Category’ means grouping complex bits of information into clusters based on what they share in common. This allows us to apply general assumptions to groups as a whole, and is one of the primary operations allowing us to learn and operate in the world efficiently. Our brains are able to save valuable time and energy by finding buzz-features, and quickly evaluate something with an indefinite number of individual features, deciding whether it is safe and worth our time. Through categorization, our brains are able to save valuable time and energy by finding buzz-features, and quickly evaluate something with an indefinite number of individual features, deciding whether it is safe and worth our time. Given the barrage of options available to us as “food”, our diet is an inevitable target of categorization, for better, and sometimes for worse. 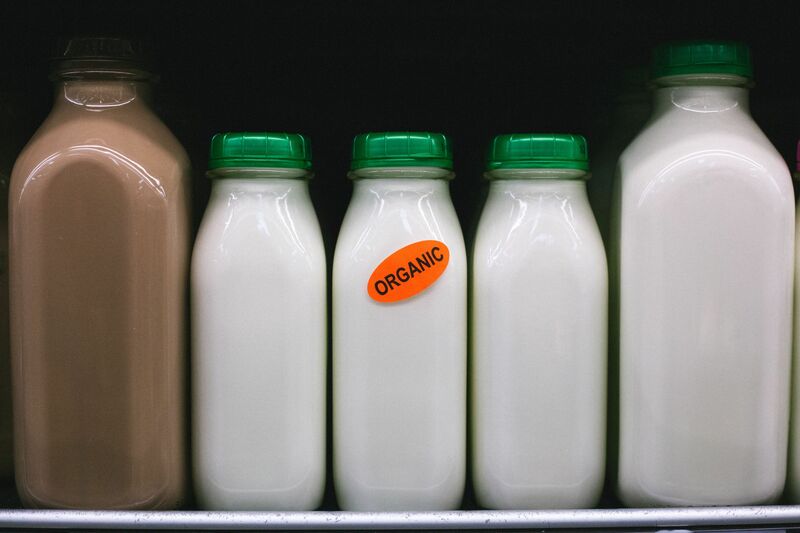 Organic is a prime example of the meaningless and potential harmful side of categorization. Maximizing efficiency through categorization is fine and dandy as long as you have at least one of two conditions: Your chosen categories give you high predictive accuracy. (It’s quite rare that my choice to have a cup of dark-roast will be anything but a good experience) or the stakes are low if your prediction fails. (I don’t run the risk of disintegrating on-the-spot from sipping a bad cup of dark-roast). The lower your confidence is in one, the higher it should be in the other. If the categories being used to make a decision aren’t meeting this requirement, they should be changed. In spite of topping many people’s personal lists, the “Organic” label is one such category; it has low accuracy in identifying food that is healthy, sustainable, and cost-effective, and the stakes in messing it up are also unreasonably high. In spite of topping many people’s personal lists, the “Organic” label is one such category; it has low accuracy in identifying food that is healthy, sustainable, and cost-effective, and the stakes in messing it up are also unreasonably high. When an average consumer uses the “organic” label as an index to purchase good food, a cluster of assumptions comes along with it. Primarily, consumers expect that organic food will be pesticide free, better for the environment, contain less substances harmful to health, have a higher nutrient content, and finally be from small mom-and-pop farms. In other words, the word ‘Organic’ conjures an image of a sun-kissed farmer lovingly tending to the soil on his heirloom farm, using slugs as a pesticide replacement and watering leafy greens with quaint dutch windmills. And I’m not arguing that Organic food cannot be made in this way. However, simply because it is organic does not mean that is is. In other words, while Fred the Farmer and his heirloom farm might equal Organic, Organic does not equal Fred. For example, consider organic pesticides. Under USDA regulations, Organic farming operations are allowed to use pesticides, they just have to be approved “Organic” pesticides. However, assuming that something is safe because it’s organic falls to the temptation of the appeal to nature fallacy, the idea that because something is natural, that it is healthy, good, or righteous. Plenty of foragers throughout history have met their end eating organic fungi and plants. Although, I doubt many of them were concerned about the official USDA certification. Take your pick from the periodic table of elements or a list of organic molecules, and chances are what you choose, in some quantity, can kill you. The fact remains that the number of farming practices, food items, and substances that fall under the “Organic” umbrella vary so significantly that it is nearly impossible to make generalizations about the category as a whole. Copper sulfate is just one such example, which is used in larger quantities by many organic farm operations than synthetic pesticides are in their conventional counterparts. The compound can be harmful to humans and the environment. Scientists have identified other approved organic compounds with similar risks. Pesticides also don’t represent a significant part of the story when considering potentially harmful substances in one’s food. 1 in 8 Canadians (4 million people) per year fall ill due to food contamination, the vast majority of which is bacterial pathogens. Foods produced organically are a significant offender and are disproportionately responsible for food related illness outbreaks. Additionally, the nutritional benefits of eating organic are minimal at best. A number of meta-analyses have been conducted comparing the nutrition of similar organic vs. conventional foods. At worst, no differences have been found between the two. At best, slight increases in trace nutrients and antioxidants have been found in organic food compared to conventional – however, these differences were never proportionate to the cost increase. Given that organic produce can cost anywhere from 20 per cent to triple the price, one could get more nutrition at a lower cost by just buying more conventional, nutrient dense food, like fruits and vegetables. Given that organic produce can cost anywhere from 20 per cent to triple the price, one could get more nutrition at a lower cost by just buying more conventional, nutrient dense food, like fruits and vegetables. The desire to protect and preserve the environment also fuels the organic movement. However, organic is woefully insufficient at helping the environment. In addition to the potentially increased run-off of organic pesticides, the most recent meta-analysis investigating the environmental impact of food production suggests that organically produced food does not differ significantly from conventional in its carbon foot print. This is because although organic farming requires less energy per unit of land, the output is less efficient, and thus more land is required for the same amount of food. 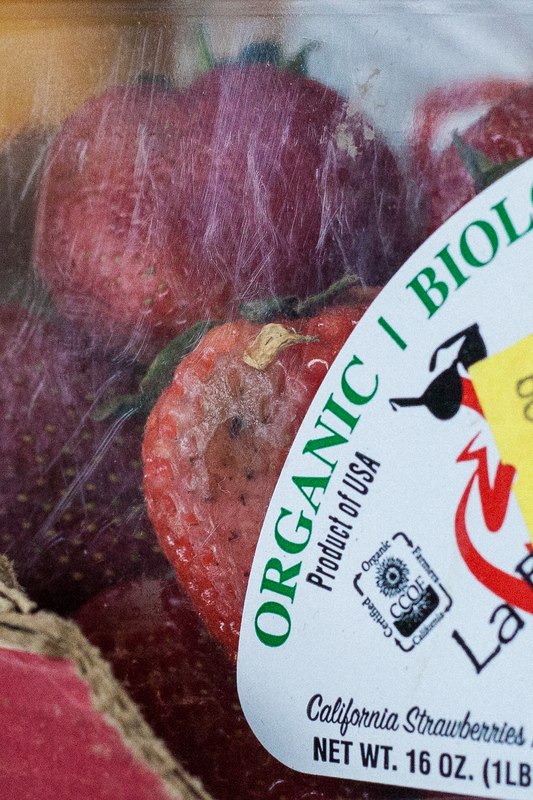 So, if the organic category is meaningless, why does it carry so much weight? This ties into another misconception about organic: that the organic industry is a small-scale, poorly funded, underdog operation. In reality, organic farming is big business. It is taking a fast-growing proportion of the Canadian food market. Most major Canadian grocers have a significant share in organic food production, and the industry has heavy-hitting corporate power. Often when research emerges uncovering faults within the organic food market, critics mention corporate power as corrupting the body of research. 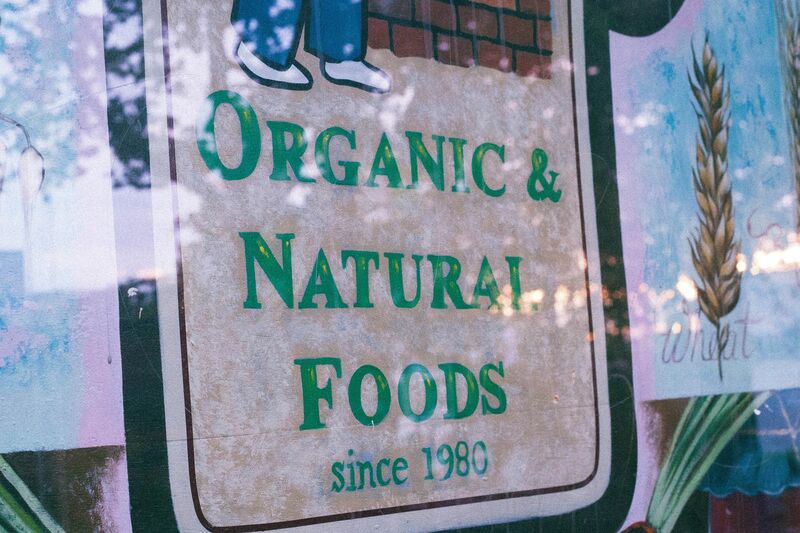 What often goes unmentioned is that increasing power, and similar corporate interests motivate the organic food market, and often these organizations themselves are the originators of many unsubstantiated claims about the benefits of organic food. It seems likely that there are examples of organic food items that are much better than some similar conventional food items. Likewise, I would bet examples exist in the opposite direction; the raspberries grown in my community garden may not fit the standards of any organic labelling association, but could be better than those in any grocery store on either side of the produce section. That is the central argument of this article; given how broadly “organic” is defined, and what its terms require, one can’t tell anything meaningful about a food item simply knowing that it’s organic. There exist legitimate, uncontroversial categories that pull more weight across the board, in each of your likely areas of dietary concern. There exist legitimate, uncontroversial categories that pull more weight across the board, in each of your likely areas of dietary concern. For health, eating more food in the categories: “whole-food”, “plant”, “greens”, “fruit”, “omega-3” “mono-unsaturated fat”; and less of: “added sugar”, “refined carbohydrates”, “trans-fat”, “preservative” will give you most of the benefits to be found in a diet. To protect the environment, eating less animal products (red meat, in particular) and more plants is the most significant dietary choice to reduce one’s footprint. To support local business, one can visit their local farmer’s market and chat with the producers to find out exactly where the produce is coming from. However, at best, betting on “organic” to fulfill your dietary needs is a gamble, one with low odds, a high buy-in, and a sketchy return. In this case, when it comes to what to eat, your decision making will ask for a bit more nuance than this deceptive category.